Real Alternatives, accredited by the Pennsylvania Association of Nonprofit Organizations (PANO) with the Seal of Excellence, provides a variety of supportive services to pregnant women. Services focus on supporting women throughout their pregnancy and helping them learn about alternatives to abortion. 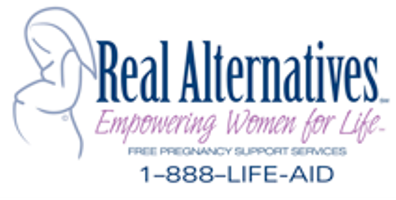 Since its establishment in 1996, Real Alternatives has served over 260,000 women, with approximately 66 percent of pregnant women choosing abortion alternatives. According to a 2013 report, the organization’s services to women contributed to a drop in Pennsylvania abortion rates by 7.3 percent. Services provided by the organization include access to counseling groups, parenting classes, resources for infant care, and women’s legal rights. Pregnant women can also receive help with informing family members and boyfriends about their pregnancy; locating agencies for food, medical care, and financial help; and obtaining necessary infant care supplies. Furthermore, abortion-alternative services help women understand their rights and explore possible options, including resources for adoption if the mother determines it is best for another to care for her child. In addition to its seal of approval from PANO, Real Alternatives was a finalist for the 5th Annual Nonprofit Innovation Award in 2004 by the Central Pennsylvania Business Journal.